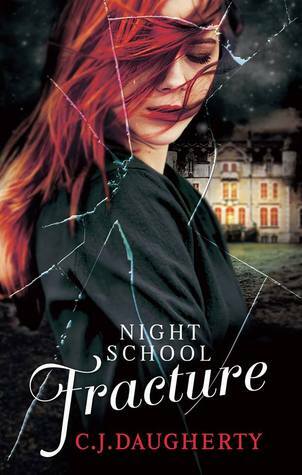 Night School: Fracture is the third book in the Night School series and therefore this review may contain spoilers for the previous books. Following Jo’s murder, Allie is frustrated that no one is doing anything to find Gabe and Nathaniel. Life seems to go on as normal at Cimmeria Academy and she just can’t stand it. She devises a plan to escape and get justice for Jo. But how far will she get in the real world and is it safe beyond the gates? Another page turning read in the Night School series. I don’t want to give too much away but Allie’s escape made me chuckle at the stark reality she faces. There’s no magic fixes in this world. It also sheds some more like on how deep the organisation behind Night School goes. As the story progresses, there is a real feeling of powerlessness against an entire world that is outside of their control. Allie is a bit conflicted about her feelings for Carter and Sylvain. I loved Rachel’s explanation of friendship love and romantic love as well as the way it deals with the awkwardness of break-ups. The sort of break-ups that are more normal for teenagers that is. It was also nice to have one of Allie’s old friends back briefly, even if it just highlighted how far she’s come. Night School: Fracture is published by Atom, the young adult imprint of Little, Brown, and is out today in paperback and ebook formats. Thanks go to Midas PR for providing a copy for review.